This cozy vacation rental near the Mississippi River in Illinois can accommodate up to two guests at a time, inviting glampers and their significant other to spend a relaxing few days in this Carroll County bed and breakfast on their next getaway. 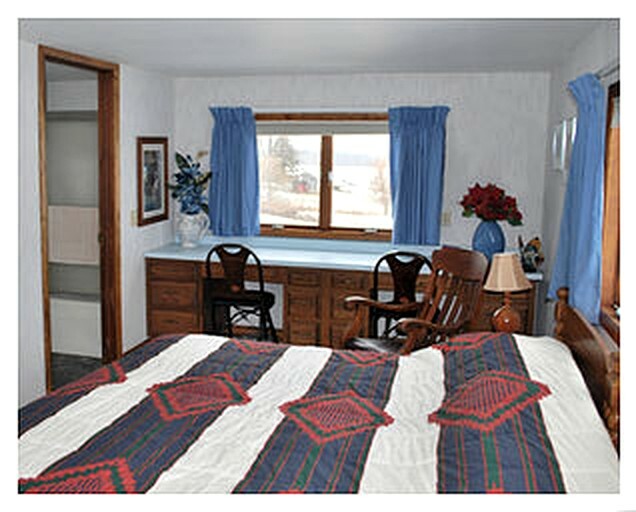 Guests have one bedroom and one private bathroom. The bedroom is furnished with a king-size bed that can be split into two twin beds, a writing desk for two, and a bedside table, with a standing shower, a toilet, and a sink in the ensuite bathroom. In the mornings, guests will receive a tasty home-cooked breakfast in the kitchen, which is also equipped with cooking appliances and a spacious dining room table. 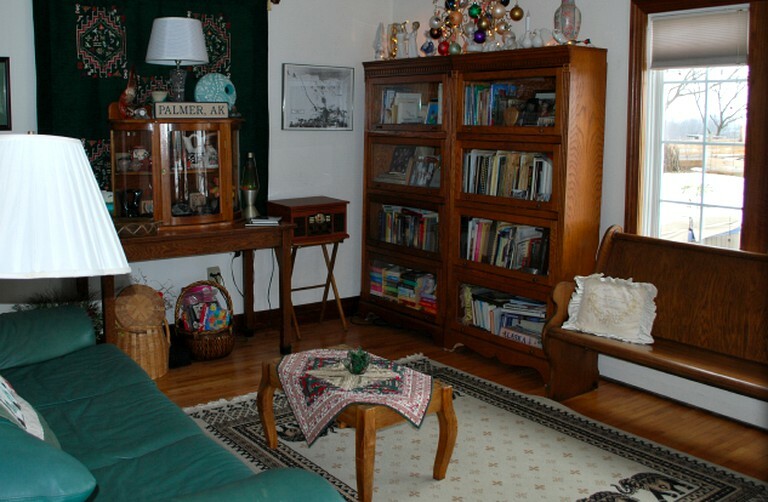 This floor also includes a full library and sitting area as well, the first of which is furnished with shelves of books, artwork, and a plush green sofa facing the window, perfect for bird watching or reading in peace. In the living area, guests will find comfy sofas and armchairs facing the television and fireplace, allowing guests to settle down and relax in front of a fire and a movie in the evenings. Each room comes with a full ensuite bathroom and there is a kitchen on the main floor that is equipped with large appliances. Guests will also have access to the bed and breakfast living areas, including a furnished sitting room with a television and a fireplace as well as a fully stocked library. All linens are provided. Guests can park on site. 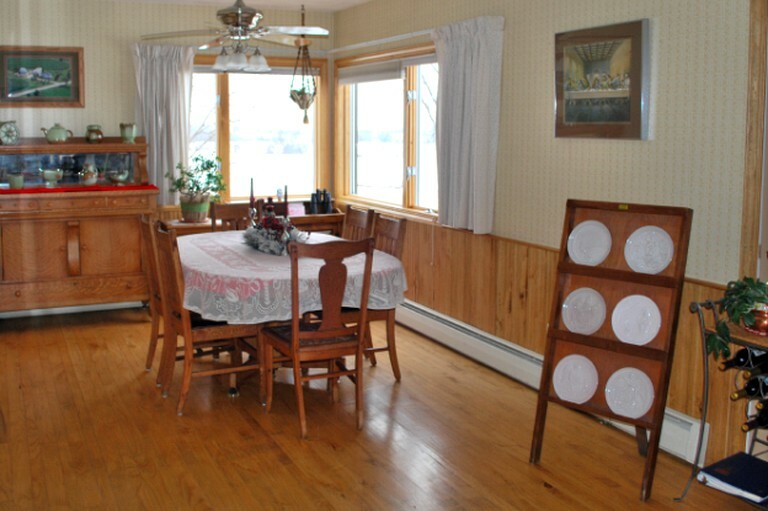 Each morning, glampers will be served a full home-cooked breakfast in the dining room. This idyllic getaway is located in a 1911 bed and breakfast farmhouse just outside of the charming town of Mount Carroll, Illinois. Mount Carroll belongs to Carroll County, a hilly pastoral region that is bordered by the Mississippi River to the west and Jo Daviess County to the north and is renowned for its stunning natural landscapes and scenic wineries. 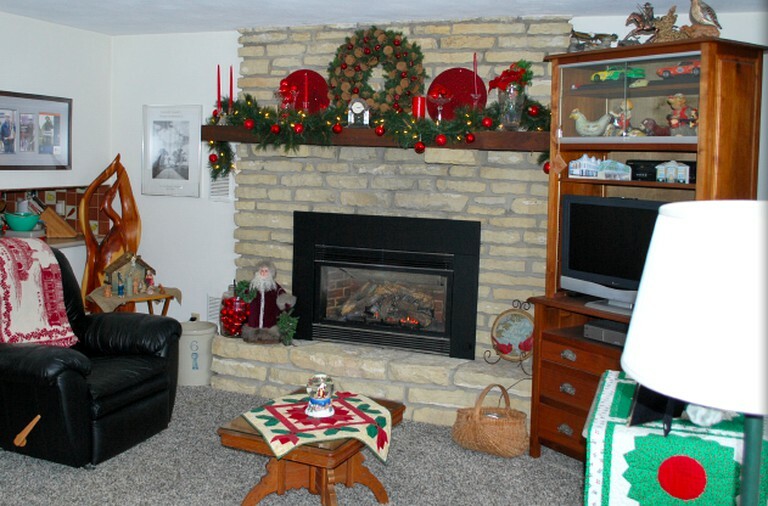 Though the bed and breakfast property is situated on a private lane in the countryside, guests will be within 20 minutes of the various attractions in the surrounding area, including the Wide River Winery, the Upper Mississippi River Wildlife Refuge, and two other national parks. Guests can also visit the various historic districts in nearby towns like Mount Carroll, Thomson, Savanna, Galena, and Dubuque, each of which boasts a selection of restaurants, boutiques, antique shops, and cultural exhibits. Guests staying in this picturesque bed and breakfast will find plenty to do in the Carroll County Area, with the Mississippi River, Illinois Wine Country, and charming townships all located under half an hour from the retreat. At the accommodation, guests can wake up to a delicious home-cooked meal in the mornings, then take a nice stroll through the gardens on the property before heading out for the day. At the Upper Mississippi River Wildlife Refuge, guests can go hiking, kayaking, fishing, or bird watching, with various trails, nature centers, and ponds to explore within the refuge, like Frog Pond, the Ingersoll Wetlands Learning Center, and the Great River Trail. Glampers can also see bald eagles while on the Mississippi River, with plenty of protected nests perched in the trees lining the banks along the enormous body of water. In the afternoon, guests can also wander through the area’s historic centers, with restaurants, cafes, shops, and museums to see about 15 minutes away from the bed and breakfast in either Mount Carroll or Thomson. Glampers can then learn about the history of the area in the Windmill Cultural Center in town, then book a tasting at the Wide River Winery to top off the day. There is a fire pit back at the accommodation for glampers who want to roast marshmallows and stargaze at night, meaning glampers of all tastes will find something to appeal to them on their next vacation on the Mississippi River.